D23 is reporting, via Disney Park Blogs, Mickey’s Philharmagic is coming to the Disneyland Resort!!!!!!!!!!!!!! For those of us on the west coast I think I can say, BOOYEAH BAYBEEE!!!!! 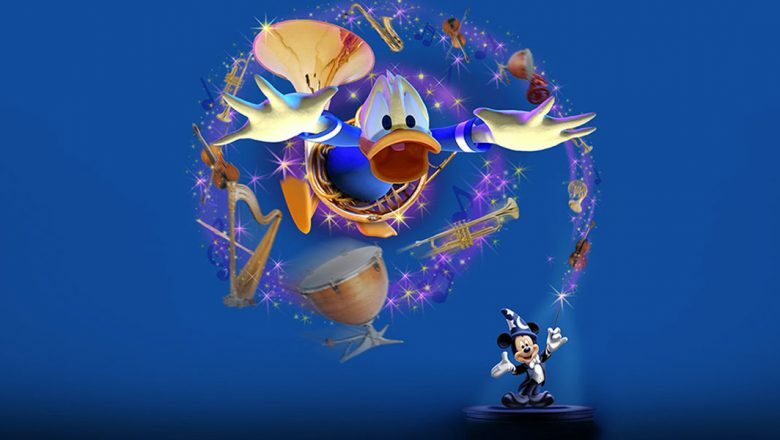 The 3d adventure of Donald soaring though the classic Disney animated musical sequences from films such as Beauty and the Beast, Peter Pan and Aladdin, to name a few, is a favorite of mine. The attraction is a fan favorite at Magic Kingdom park in Walt Disney World Resort,as well as at Hong Kong Disneyland, Tokyo Disneyland, and Disneyland Paris. It is about time we got it! Now we don’t have to fly across the country to experience this romp through animated history. Two Disney Legends will make a sound appearance, Clarence “Ducky” Nash, the original voice of Donald, and Tony Anselmo, who currently voices our feathered friend. See if you can tell who is who! The premier is in April at the Sunset Showcase Theater in Hollywood Land. Hooray for Hollywood! Whaaaaaaaaaaaaaat??? Reallyyyy????? That’s amazing ! I LOOOOOVE Mickey’s Philharmagic!!! You’re gonna LOVE it out there!! Which building will this be in??? I was there a few months ago… but I can’t picture this one?!? But why…I mean, I love the show and all, but come on, come up with something original. I totally fine with the same show. Those of us on the West side of the country don’t get to see it like you do. This makes me SO HAPPY! I’m always hearing how great it is and how much people love it. Excited to see it for myself finally!